Can you believe it's almost November? Have you started your holiday shopping yet? We wanted to share with you some brands, products, and businesses that we love and use ourselves that you may want to consider too! These are hand picked items that you will not find on the "Best Toys of the Year" lists, kids only play with those for a few hours anyway. Here are some practical, high quality gifts and some places you can find more. 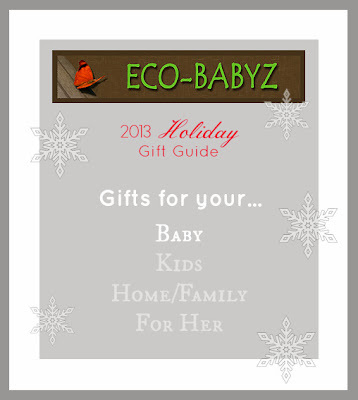 We will have four Gift Guides and today we're starting off with BABY! Hands down the best fitting pants Baby T owns are his Pomona Jeans! He has been wearing them since April several times a week! 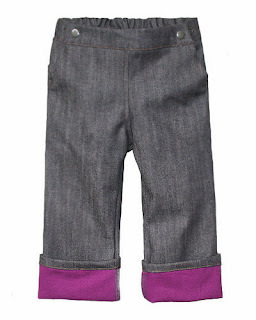 With the fold down cuffs and adjustable snap waist, they will easily fit him for another half a year. So there, 18 months of wear for one pair of super awesome Pomonas. I definitely wouldn't hesitate to spend less than $30 on these amazing pants. They have so many styles to choose from, and shorts too. Best of all, they have a superb fit on any diaper, cloth or disposable, we love the Trim Fit ones! It even fits on the bulkiest diapers we have. Looking for baby and toddler clothing that stands up to the rigors of babyhood? Zutano makes clothing for newborns through 4T and it's made to last through wash after wash, to the point it will still look great to pass down to siblings. 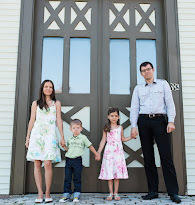 The fun, vibrant colors, prints, and designs are a favorite of both parents and kids. Baby E and Baby T have a few Zutano pieces and they are some of their favorite clothing to wear because they are just so comfortable! Have you ever wished that art supplies were edible as you watched your baby lick their fingers after finger painting or nibble on a crayon? Then you must check out Wee Can Too Art Supply! Finally a safe way for baby to explore textures and get creative. My kids love their sidewalk chalk and we've used the finger paint before. They also have tempera paints and veggie egg dye. Prices range from $12 to $35. If you're looking for some practical gifts like cloth diapers, feeding supplies, organic bedding, skin care, or things like Eco-friendly baby toys - Thanks Mama natural parenting store has a vast selection of all those items. You can also save with sales and rewards points for your purchases. We have some of the diapers they carry as well as a few toys, their customer service is exceptional and shipping is free for orders over $60 and really fast. 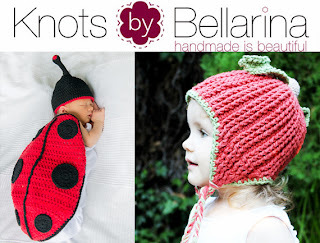 Custom made knitwear can make a wonderful gift and heirloom and I highly recommend Knots by Bellarina for any of your crochet fantasies. Whatever you have in your head, the talented shop owner can make come to life. The shop doesn't have any ready-to-ship options, but now is a great time to order custom in advance. She recently sent us some newborn photography props and you'll see more of it on Eco-Babyz! The photo on the left is from a recent photo session. This carrier brand is a close competitor of the one mentioned above, but Boba does have subtle differences. The Boba Carrier 3 G can actually convert to an infant carry without an infant insert, it has convenient purse strap holder and storage pockets on the waist belt. There are also removable foot straps that are great for toddler to rest their feet on. We had a chance to try it out in person and loved it! 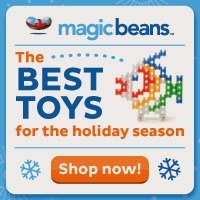 Now if you want a really vast selection of quality toys and gear, you might want to check out Magic Beans. I love that this store is actually local to me, they are Boston based. But their online selection is huge and they often have great sales going on. Like right now you can get a Baby Jogger City Select Stroller with a free second seat! Or a City Mini with free car seat adapter. Dreaming of super soft, natural clothing for baby? Well of course Softbaby is exactly what you are looking for. This clothing line is designed in New York and made from certified organic cotton with original patterns. While conventional cotton is loaded with pesticides, you can feel safer putting baby in Softbaby clothing that's easy on their skin. High quality wool products for baby can be hard to find. 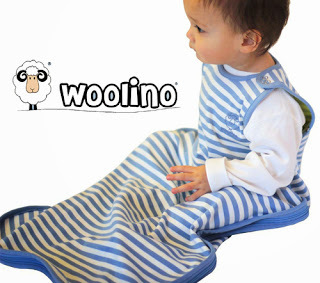 If you read my blog, I'm sure you've heard of Woolino and how much we love this brand! We have their pajamas and sleep bag and we absolutely love it. Merino is naturally breathable (no sweating), hypoallergenic, fire retardant, soil resistant, and much more. The sleep bag allows for easy transfer between car and bed and it even grows with your baby, making the most out of your investment. It's a must-have I recommend to anyone who wants better sleep for baby, which is better sleep for you! We hope you enjoyed our featured brands! Come back later this week for the Kids Holiday Gift Guide and next week for the Home & Family and For Her guides. Disclaimer: I received some compensation or product in return for featuring some of these brands. Contains affiliate links to where we usually shop, your purchase supports Eco-Babyz at no extra cost to you and helps offset some of the cost associated with pouring our time and energy into this site. Thank you! 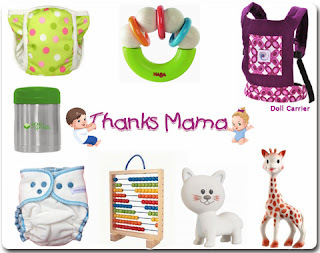 I really like that Thanks Mama sells toys and accessories along with cloth diapers. Thanks for your very helpful guide! 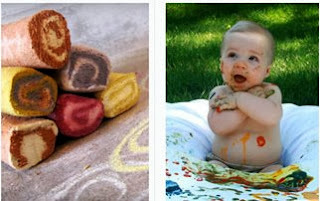 Those edible, baby safe art supplies are awesome. I have been looking for recipes for homemade ones, but they just don't seem to do the trick. 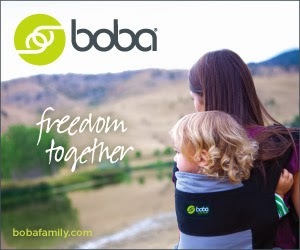 I'm hoping to get a Boba carrier as a gift for my new little one! Also, Thanks Mama has really nice natural toys and accessories. I'll have to shop there. They do have a lot of nice things! It is a great brand, we love their art supplies! So many great ideas! Thanks!! you just made my Christmas shopping way easier! I love the variety of things from toys to carriers and diapers and clothes! Wow! So many wonderful gifts! I love the edible art supplies! Thanks for the comment Tracie! The Thanks Mama website is one of my faves. I'm just practical like that! Great ideas. I like the woolino and the Pomona pants. I love the idea of getting my baby a pair of Pomona pants for Christmas :) I have been wanting to try them for a long time!! Great line up! I'm going to have to look into the Wee Can Too! I have never heard of them before! You're welcome! The Pomonas are really awesome! I have never heard of edible art supplies, but they look awesome. It would be something my son would love to play with. Also, I have heard that Pomonas are good pants from one source and it is nice to hear they are good from another source. I need some good pants for my boy. The pomana pants are so cute!! I also think the edible paints are a great idea. My son wants to eat everything- playdough, boogers - so this a huge concern to me. Edible art supplies - that would be for us! I want every. single. item. in this list. Zutano has fabulous, high-quality products - love this company! This is great! I love the idea of edible art supplies! I had never heard of them until I saw this! Thanks for pointing me towards them! This gift guide is very helpful. Thanks for sharing! They are pretty awesome! I'm thinking of getting a size up when my toddler outgrows his next year, we got so much use out of one pair! I LOVE LOVE LOVE Ergo Baby!!!! !